Professor of Law in the Faculty of Legal, Political and Social Sciences at the University of Carthage. Haykel Ben Mahfoudh is a Professor of Law in the Faculty of Legal, Political and Social Sciences at the University of Carthage, as well as a visiting professor in Europe and the US. 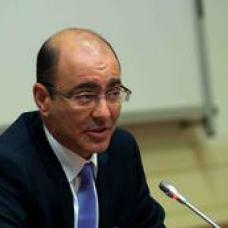 He holds a PhD in international law from the University of Carthage and has extensive field expertise in security sector reform, acting as a senior advisor for a number of specialized international organizations. From 2011 to 2013 he was head of the Tunisian office of the Geneva Centre for the Democratic Control of Armed Forces (DCAF).